Halloween is almost upon us, and if you’re an expat in Dubai who’s feeling like a duck out of water, worry no more, as we've gathered a list of the best costume shops in Dubai to help you out. 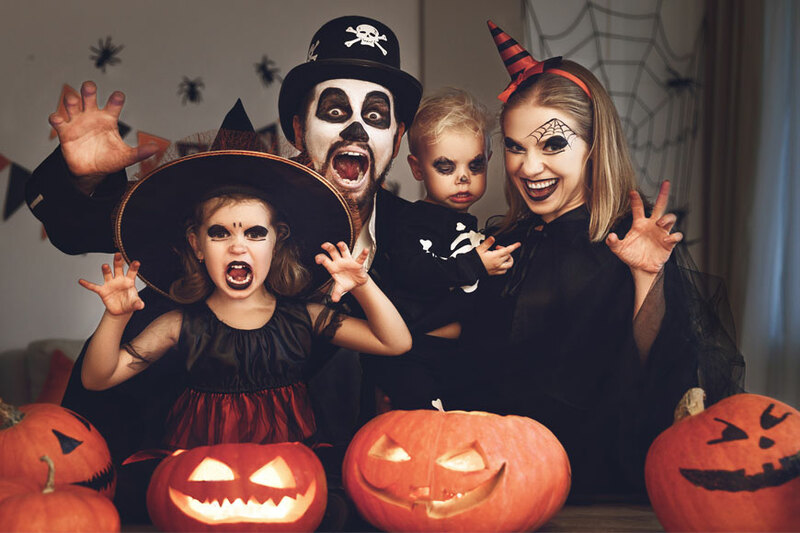 Furthermore, if you’re still searching for a Halloween event that suits the whole family, click here to check out our list for the best family-friendly Halloween events in Dubai. The cosplay lovers’ first and ultimate destination in Dubai. This shop features a wide range of costumes for the whole family, withal a great assortment of birthdays and themed parties accessorise, like: wigs, makeup, masks, decorations, lights, hats, weapons, props, and whatnots. Mystique Costumes is located in Umm Suqeim street, Al Barsha 2. And, you can find them online, and shop with an ease of many payment options - including cash on delivery. A massive retail store dedicated to party supplies and costumes, as they always stock up on different assortments for different people, ranging from wigs, costumes, props, accessorize, masks, and so on. They’re also located in Umm Suqeim streen, Al Barsha 2. A huge party supplies store, offering a great costumes section. You can find this store in Al Garhoud, Saraya, or Media City, Dubai. Or you can shop online. Party Canter features all party decorations, birthdays, baby showers, special occasions, Halloween, and more. Opting for a nice costume, but you’re on a budget? Worry no more, as Fancy Dress Hire features a wide range of costumes and accessorise for rental, and they operate 24 hours; meaning if they were closed, you can still call them and order your favourite costume. Fancy Dress Hire is located in Jumeirah Park, Dubai. And you might want to take into account carrying some cash with, as they ask for additional small deposits. Mr. Bens offers a wide range of cool costumes for both, rental and buy. This shop is entertaining and a lot of fun, as it’s stocked up with vibrant costumes and accessorize for every family member.